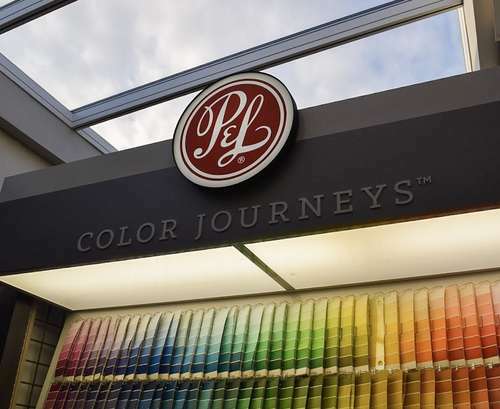 We are one of DC, Maryland, and Virginia's only naturally lit paint stores and a proud dealer of Pratt & Lambert Paints. We have the paints and supplies for every painter and every job. Whether you're a commercial painter or a parent trying find the right color for your child's bedroom, we have what you need and the in-store expertise to help you get the job done. Check out our Color Bar and learn about our paint referal program and other ways you can save money on your paint projects. Spend $750 and get 10% off on liquid paint, painters tape, and brushes and rollers. Spend $3,000 and get 15% off liquid paint, stains, primers, sandpaper, caulking, caulking accessories, and paint accessories. Spend $6,000 get 20% off all liquid paints, stains, primers, sandpaper, caulking, caulking accessories, and paint accessories. Dedicated salesperson and expedited checkout and loading, call-in and pick-up, and free delivery inside 5 miles for $500 dollar orders. 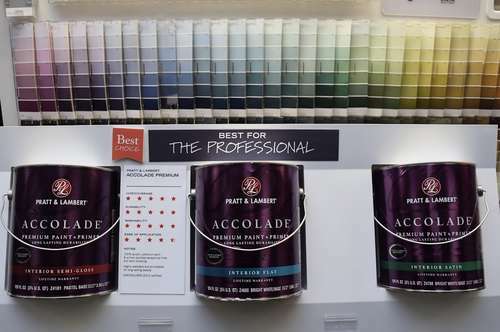 For nearly 40 years, the mighty Accolade has been the most superior Pratt & Lambert paint. It will stick to all surfaces without any needed prep. Known for its incredible longevity and durability on both inside and outside surfaces, the Accolade compares to any manufacturers top-of-the-line paint. 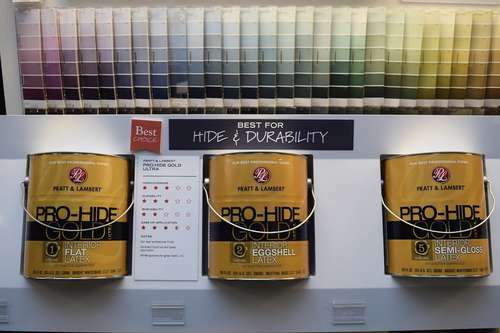 The Pro-Hide Gold is a quality mid-line coating paint with good coverage and color retention. 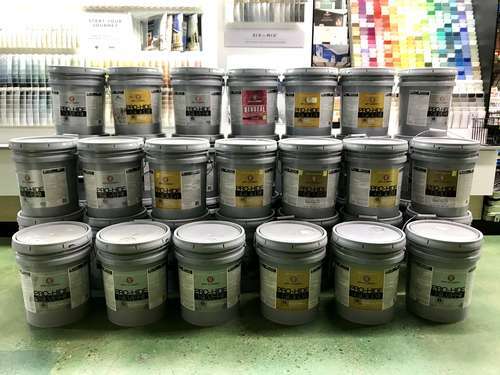 This popular selling paint is used by both contractors and DIYers. It is 100 percent acrylic and will stick to all surfaces, including aluminum and galvanized metal. 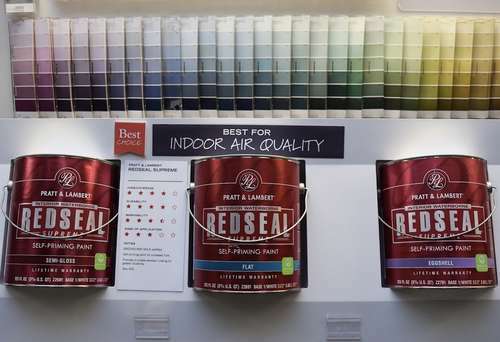 The Redseal is one of the most recent creations from Pratt & Lambert, a 100 percent acrylic paint that is GREENGUARD GOLD certified and designed to provide the best indoor air quality for its users. This self-priming paint gives excellent coverage and adhesion for a great finish appearance.